Think of spark plugs as the tiniest bolt of lighting. Small but mighty, the spark of electricity that the plug emits across a small gap creates the ignition for the combustion needed to start your car. 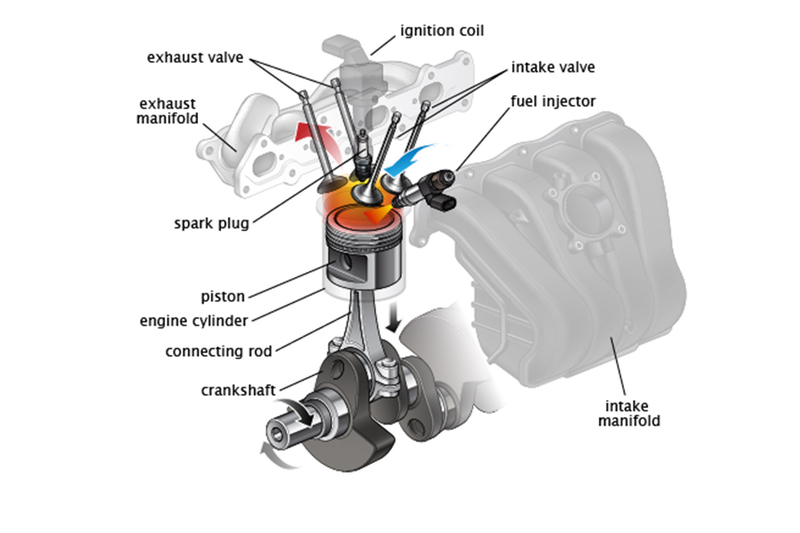 By putting the engine’s pistons in motion, your car can power up, stay powered up, and produce a smooth burn of the compressed air-fuel mixture. Mind you, spark plugs like it hot: they withstand extreme heat and pressure within your cylinders and are built to burn off deposits from fuel additives or other contaminants. Well, without a spark your car won’t start – or go anywhere. And, because spark plug health is directly linked to engine performance, it stands to reason weak or bad spark plugs lead to problems, be it issues with cold-starting or misfires during acceleration. Besides – without healthy ones – your ride can’t sustain maximum power, and your vehicle can see a drop in fuel economy. Now, nobody wants that. What spark plugs should you install? It depends on the type of engine you're running and what you voltage you require. If you have a performance car you'll go for a spark plug such as NGKs Platinum Iridium line. Iridium spark plugs: The next generation high-performing plugs, these up the ante on durability, ignite faster and last up to four times longer than their distant copper cousins. Better, more reliable power and acceleration, as well as enhanced throttle response, are things you can take to the bank. It’s no wonder that professional motorsports, like the Indy 500, have come to rely on the superior quality and sophisticated manufacturing of high volt spark plugs, too. How often should spark plugs be replaced on my vehicle? Luckily, spark plugs don’t require replacement very often and can go years and many miles before replacement is a must. Most auto manufacturers suggest having new spark plugs installed around every 50 000km; however, spark plug longevity depends on the condition and type of spark plug. Copper plugs, for example, have the shortest life, while plugs made of more advanced and durable materials can provide up to four times the life of a copper spark plug. What happens to a spark plug as it ages? By the time spark plugs reach old age, they’ve spent thousands of kilometres enduring abuse and withstanding the most extreme temperatures and conditions to stay intact. That’s where the importance of spark plug material comes into play. The stronger the material, the more durable and long-lasting the spark plug. Naturally, though, every spark plug undergoes wear and tear, materials aside. Spark plug deposit buildup: When deposits form on spark plugs from interaction with the air-fuel mixture, it can lead to pre-ignition of the fuel. That means a jerky and unreliable supply of energy for your car. Expanding, harder-to-jump gap: When a spark plug ignites, it has to travel across a gap of space in order provide the right level of combustion at the right moment. As spark plugs age, this gap widens as a result of extreme temperatures, debris and normal wear and tear. If the gap is too far apart, combustion will be erratic or ineffective. What is the benefit of replacing a spark plug? The primary benefit is knowing your car will start without a hitch. Needless to say, that’s not all that matters. New spark plugs provide a lot of other performance benefits as well. 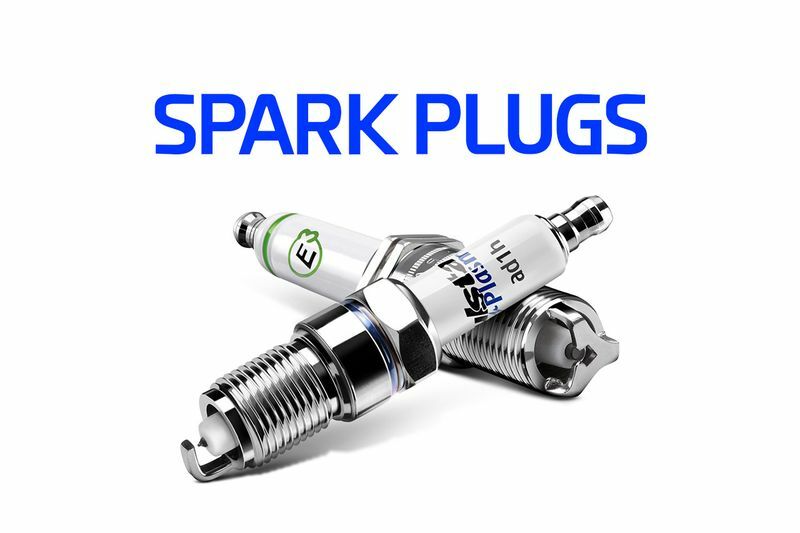 Consistent production of optimal combustion: Fully functioning spark plugs equate a fully functioning combustion system. Get this operating successfully, and a lot of performance issues you’re experiencing could be a distant memory. Better fuel economy: The National Institute for Automotive Service Excellence says misfiring spark plugs can reduce fuel efficiency by 30%. New plugs, when replaced at specified intervals, maximise fuel economy and will save you some dough. Smooth and energetic starts: The first time you turn the ignition with a new spark plug can be an eye-opening experience. That old spark plug may have been the reason your car was experiencing those jerky starts. Less harmful emissions: The Environmental Protection Agency states that regular engine tune-ups – especially in regard to spark plugs – not only save gas but also reduce air pollution. That’s a win-win. How involved is spark plug replacement service? The complexity of a spark plug exchange varies from straightforward to very involved. Your vehicle must be worked on when the parts are cold, and the amount of time it takes to complete the service varies by make and model. In some cases, it may be necessary to disassemble vehicle parts in order to reach your spark plugs. Plan ahead because a vehicle drop-off is usually required... with that said, however, if you intend to do it yourself, first make sure you have the right set of tools, depending on your make and model of car, you should be back on the road in around 15 minutes. What symptoms may indicate my vehicle’s spark plugs need replacing? The signs of worn spark plugs. Hear it. Feel it. Sense it. Rattling, pinging or “knock”-like noises. When spark plugs begin to misfire, you may notice unusual noises from the force of the pistons and combustion not working properly. Pistons travel at high velocities. 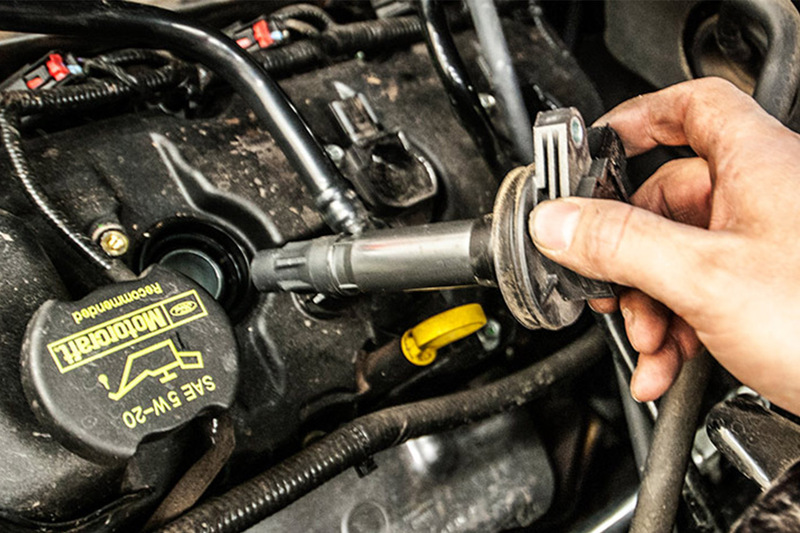 If the spark plug fires at the wrong time, this could lead to constant rattling, pinging or knocking sounds. Usually followed by a check engine light. Also, keep in mind that very similar symptoms can occur from a failing ignition coil. Hard vehicle start: If your car is having trouble starting or just feels disjointed and jerky, your spark plugs may not be working right, and this can lead to misfires and erratic performance. Reduced performance: When you’re out cruising, your spark plugs fire when you accelerate and change gears. If the spark that this little plug generates isn’t functioning at 100 percent, your vehicle performance will be poor, and you’ll experience a sluggish and fuel-wasting drive. Poor fuel economy: Lots of things can lead to poor fuel economy, though when it comes to old spark plugs, you’ll find fuel is wasted since your vehicle fails to receive the proper, heat-generating spark at the right time. If you’ve spotted any of these symptoms, we suggest having your vehicle inspected in order to prevent further problems. Healthy spark plugs are vital to your car’s ability to start up and remain powered. Can’t I just get a tune-up, like the old days? Back in the day, a tune-up meant replacing spark plugs, spark plug wires, the distributor, distributor cap, rotor and points and condenser in addition to setting the timer and adjusting the carburettor. Nowadays, though, your car’s computer does most of the heavy lifting, leaving you to worry most about the spark plugs and fuel injector, sensors and switches. It’s important to note the modern “standard” tuneup, today, means changing your spark plugs. Have any comments? Please feel free to leave them below. Video: Why Do Dsg's/dct's Burp? Video: When Off-roading And Recovery Go Bad! Video: What Is Methanol Injection? Five-fuel-saving Myths Of The Day! Video: Why You Should Not Run Your Car Low On Gas!